Just as once I shimmied onto the skinny branches of love and relating, now I do so in my Cosmic Galactic Shaman Sky Dance. Last August, Tim Glenn offered me a solar return reading (these are a great way to look at emerging themes each year around birthdays). In my reading, Tim said that this would be my year of coming into BEing as Galactic Shaman. That sounds really cool, but what the heck is a Galactic Shaman? 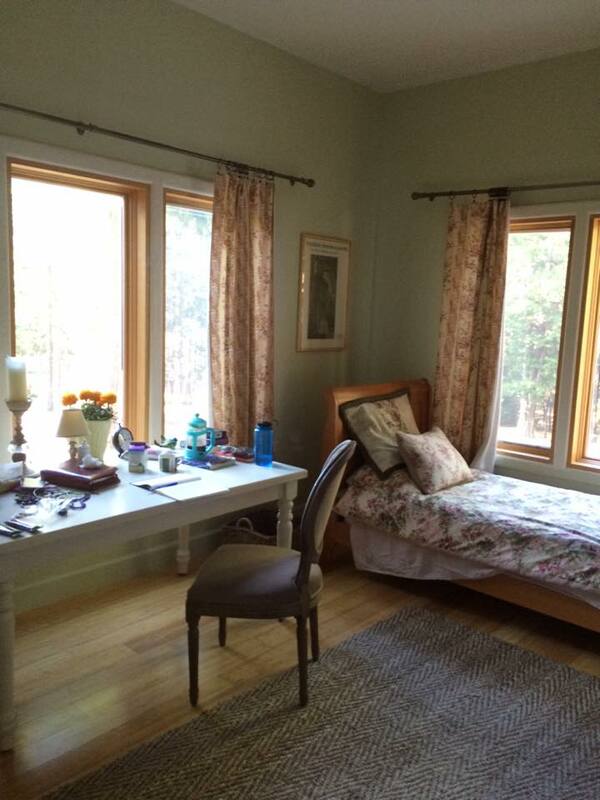 Tim explained how my shamanic tradition and practices helped me to connect with the Earth in new ways. Now I would be free to open my consciousness to the stars. 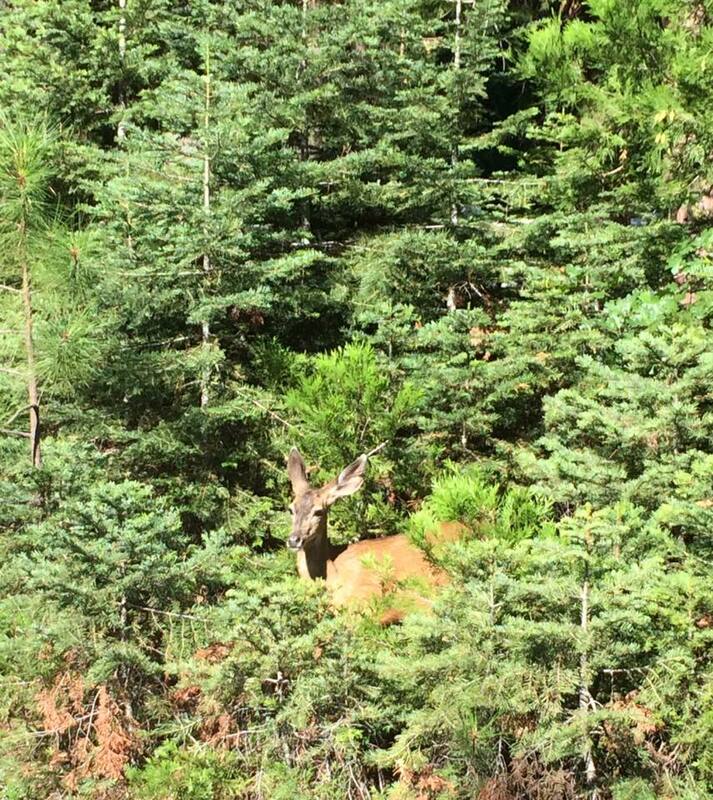 Several Deer visited me during morning walk, and this one circled back around to see me one more time. I also had several visits from Hummingbird and one from Fox. What is a Galactic Shaman? Is it just me, or does this imply some mighty big boots? In a metaphor that Tim Glenn uses often, I felt like the new little strawberry, green and trembling on the vine, wondering how on earth I would ever figure out how to turn red. But that little strawberry doesn’t need to know. It just happens. It’s evolutionary! So I trusted. I opened up to guidance. And I lucked out. I don’t think I will much need it anymore. But what is The Stargate Experience? I don’t think there are any words that could really articulate it. It truly is meant as an experience, and I can now share this with others. In fact, I can hardly wait! I came with an expectation of third-eye experience and perhaps expansion. I received that and so much more. Many of you may remember many channeled messages from Socha that I shared on video, on the blog and on facebook in the past. In some ways, my relationship with Socha seemed to become muddled up with some of the human drama I created for myself. At some point, I felt I needed some protection and by inviting that protection, I also limited Socha’s capacity to reach me with channeled messages. At this workshop, I was able to release these limitations – both my perceived need for protection and my barriers to communicating with Socha. My channel is so much cleaner and clearer now. What I notice is that channeling feels radically empowering, as if the love and wisdom of the cosmos become active supports for all of my creations. Beyond third-eye and intuitive expansion, I also felt so much heart-expansion. The quantum field and the guides who come through the Stargate offer so much unconditional love. In that loving space, participants shared deep and profound clearings and insights, creating a container of authentic, loving support for us All. What I noticed is that we who were there were opening up to clearing and transforming, to sharing through our hearts, and to supporting one another in love. What may have taken years of process, now clears in moments. We were able to laugh, celebrate and band together as heroes on our journeys. I feel like I have waited for this my entire life, and thank you, Universe, bring me more. At the same time that I feel so uplifted and high from this experience, I also feel grounded, empowered and impassioned to share this expansion in community. As I integrate all this wonder, I have the sense that I may be channeling Space Hippies. I feel so much love and gratitude for all that I’ve experienced. I am excited for how I may bring this into my life and work in deeply meaningful ways. I realize that all of this takes me even further out of mainstream, but heck, we left Kansas long ago. I am willing to be with what IS. What Shall We Co-Create Now? 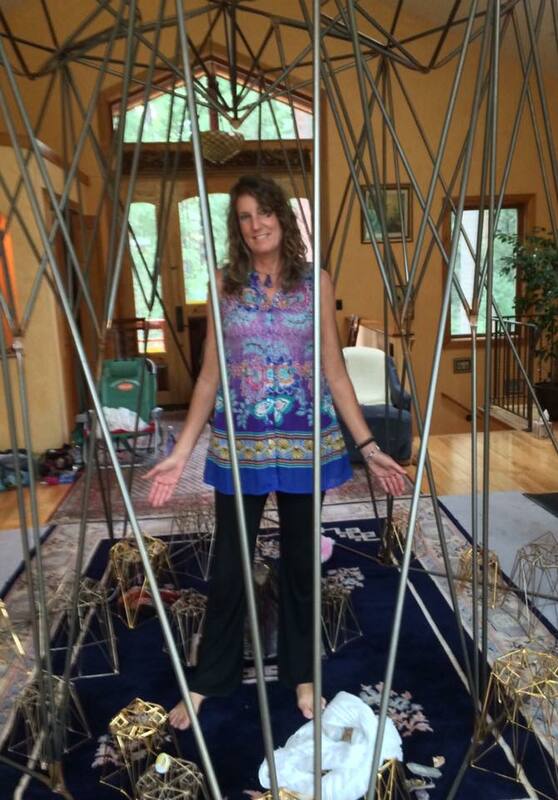 On Wednesday, August 19 at 5:30, I will be sharing Stargate experiences and energies at the “treehouse” office in town. I welcome you to join us for our first “Wellness Wisdom Wednesday Gathering,” if this may call to your heart. I intend to create a courageous space for sharing authentically, transparently, and lovingly in support of our individual and collective evolution. Please RSVP through our facebook event, through email denise@sagespiritcoaching.com, or by phone/text 775.240.0814. This entry was posted in Channeling, Community, Conscious Evolution, Spirituality and tagged angelic realm, channeling, conscious evolution, consciousness, galactic shaman, spirit guides, The Stargate Experience. Bookmark the permalink. 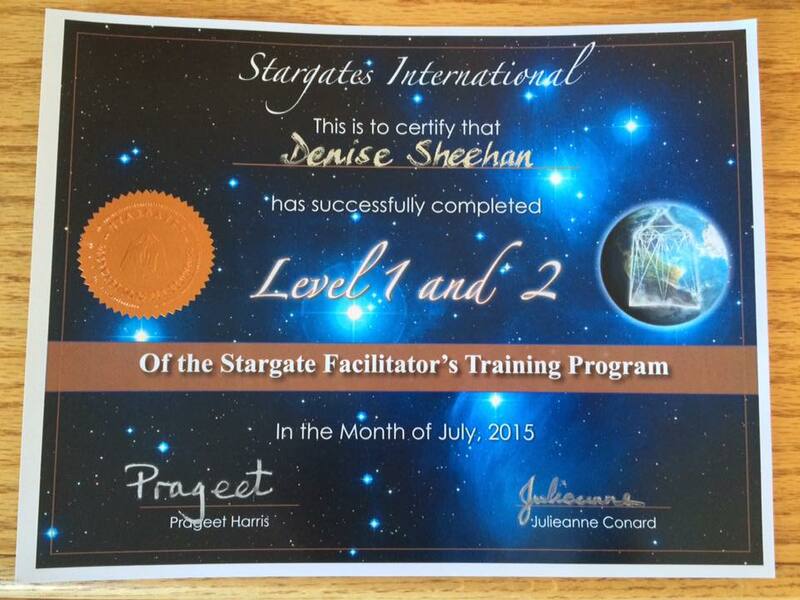 Denise, I am so glad the Stargate experience and facilitators resonated with you. Channeling can be a very conflicted field. When we are able to attune our channel to the Fifth Dimension and above we don’t have the precautions in protection we do in lower levels. Clearly from your description you are receiving information from higher and higher vibrations. It appears you were “bumped up” because you are ready, had done your prep work, and were assisted by a team following their dedicated path as well. Much love and blessings for your continuing dedication and faith…. 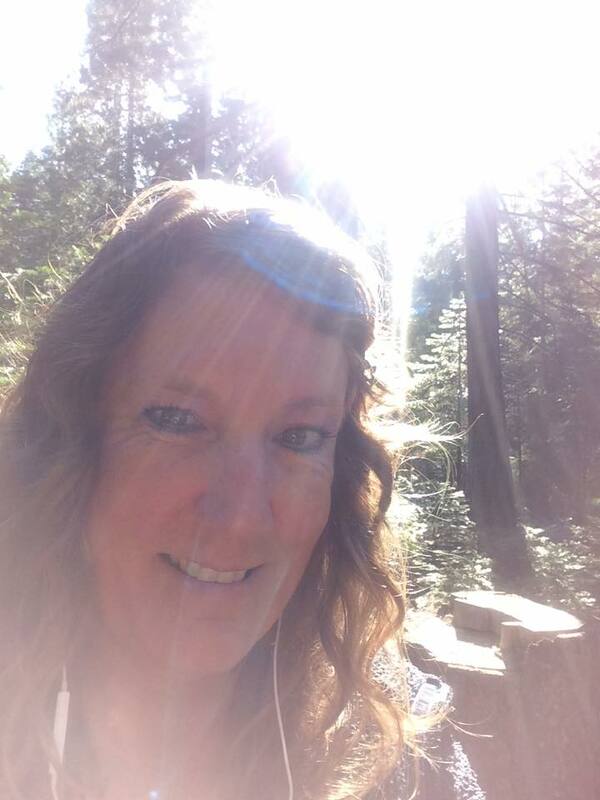 Yesterday I had the amazing pleasure of guiding a client into the higher frequencies of the Stargate, to channel messages from Ascended Masters on her behalf, and to open her spirit up to channeling her unique guides. Sharing these experiences with others, one on one or in groups, provides amazing benefits for our spirits. This world IS shifting, and we are The Ones who are calling forth an era of more consciousness, more joy, more love, and more peace. I’m so honored to be co-creator with so many wonder-filled BEings of light – on this side of the veil as well as on the other. Now I’m like, well duh! Truly thufknal for your help.